The big day is almost here. 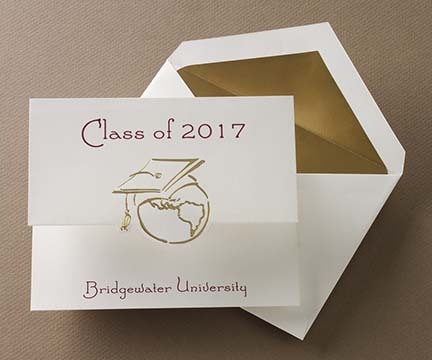 Let everyone know about your party plans and celebrate your graduate's big day by sending Graduation Invitations! We have a pre-designed cards that you can personalize with a wide variety of ink colors and lettering styles and add a photo to if you wish. FREE envelope printing is included. Don’t see the invitation you’re looking for? 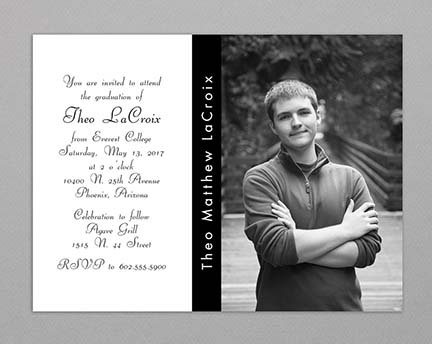 Contact us or stop by our shop conveniently located on the South Shore in Norwell, MA and we’ll design the custom invitation you have in mind. Once the date is set, get banners, yard signs or grad gifts to commemorate the day!